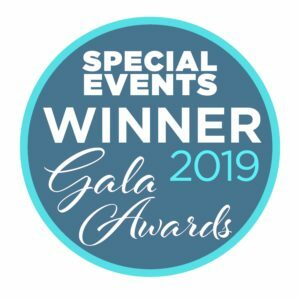 AllSeated’s VR technology is the event planning industry’s first and only genuine virtual reality capability, allowing clients to view a venue’s property and event space regardless of where they are in the world. The vivid 3D visualization of AllSeated’s VR pre-delivers experiences to venues and vendors’ clients in a way that has never previously been possible! 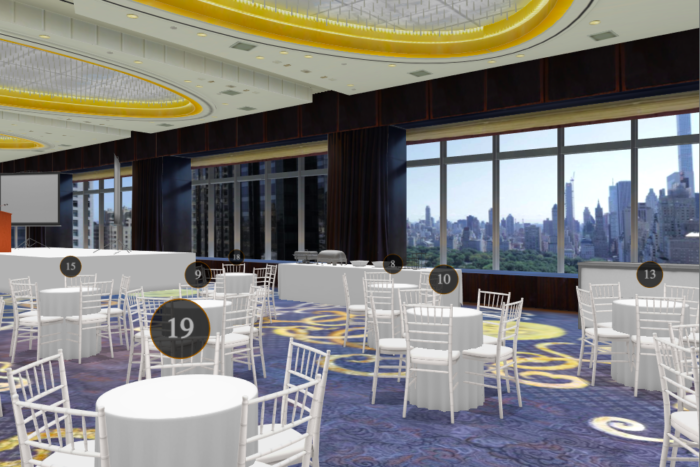 The Mandarin Oriental in New York is one of the first venues to utilize AllSeated’s VR. We spoke with them recently to get a glimpse inside their thoughts and experiences so far with using AllSeated’s Virtual Reality technology! Mandarin Oriental, New York is a Forbes Five Star and AAA Five Diamond hotel located in the heart of New York City. 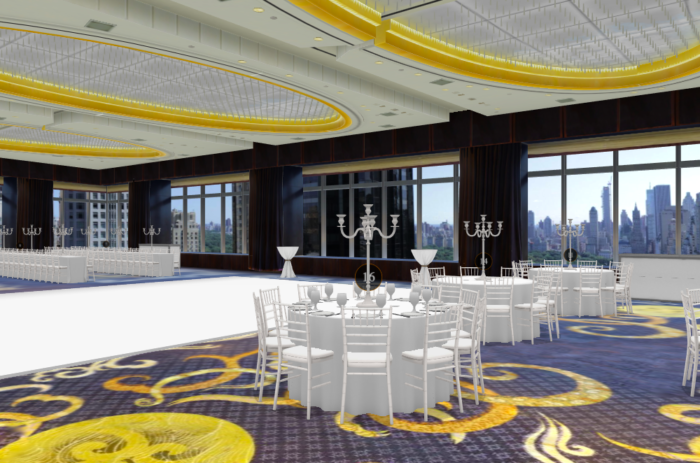 It features a 6,000 Square Foot Ballroom located on the 36th floor of the hotel that showcases breathtaking views overlooking Central Park and the New York City skyline. Our unique event space combined with outstanding service and forward thinking culinary creations by our chefs makes Mandarin Oriental, New York one of the most coveted destinations to host both social and corporate events in New York. AllSeated’s virtual reality technology has been such a great selling tool for our team. When sending proposals we can now include realistic 3D floorplans showing our clients exactly what their event would look like in our event space. 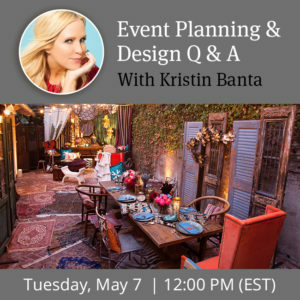 Also, for days that we cannot show the space or for clients that are not based in the New York area we are able to provide a virtual tour of our event space. Clients love the ability to be able to tour our space from the comfort and convenience of their own office. 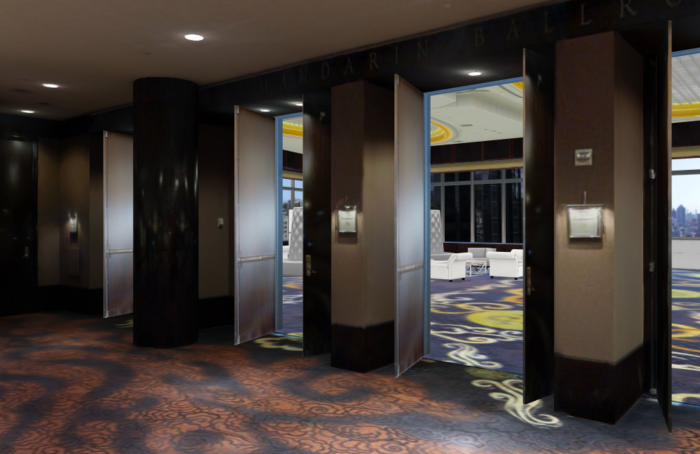 Since our event space is so unique (because of the view), the use of AllSeated’s VR technology allows clients to tour our venue and receive a real feel for the view and what it looks like out the window of each part of the ballroom, really showcasing the best features of our space in a way that no other floorplan program can do. The feedback so far has been great. Clients love being able to walk through our space virtually and to also see a first person view of what their event would look and feel like in our Ballroom. Most venues are not using such a progressive tool so it really sets us apart from our competition and we have seen an increase in client response since we started using the VR. Click here to learn more about the Mandarin Oriental.